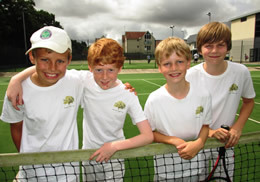 We have over 130 junior members aged between 5 and 18 years. 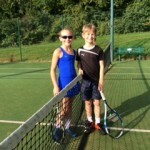 Junior membership at Danbury Tennis Club is open to absolutely anyone, regardless of standard and experience. 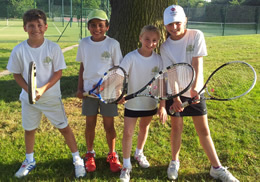 The club runs coaching sessions during term time, tennis camps during every school holiday, and age group tournaments throughout the year. 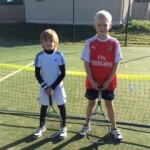 The club is also involved with local schools, whereby the coaches run sessions at the schools before the children are given the opportunity to come and play at the tennis club. 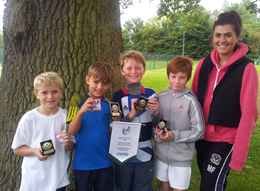 In June 2013, Danbury Tennis Club was one of only 100 clubs nationwide to be chosen as an ambassador site for National Mini Tennis Week, where five local schools were invited down to take part in a free tennis afternoon (68 children attended). 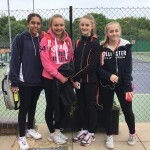 Ellie Blackford: One of our junior members has been invited to a GB National Training Camp at the NTC in Roehampton in November. 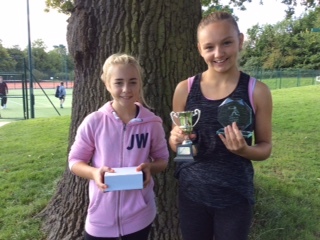 Her name is Ellie Blackford (aged 10), she’s been playing for 4 years and has won the Essex County Championships in each of the last three years. 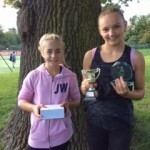 There is an annual Club Junior Tournament with events from 8U to 18U, which runs from May to September with a finals day in late September. 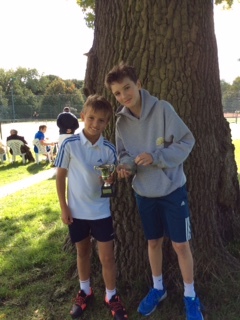 First club championship win for Murray as he beat a fast-improving Rufus in a tense final. Ellie finally pulled through after a tough two setter against a never say die Porter performance. 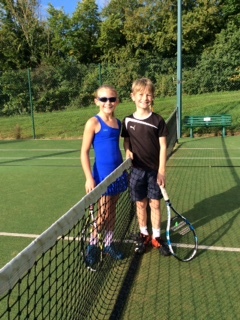 Ellie had Sam on the ropes initially, but he came back to win an entertaining tussle which had some outstanding rallies. 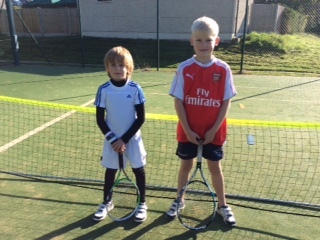 Gabriel started slowly but made a real fight of the match in the second set to make Sam work hard for the victory. 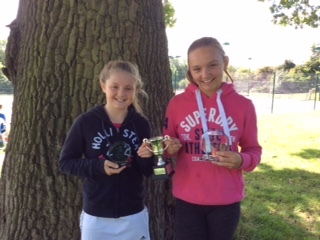 Abbie proved too consistent in this match up, but Niamh worked hard throughout and played some great shots. Olly shocked Alistair initially with some courageous hitting but was unable to carry this form into the second set as Alistair’s overall game improved. Great attitude throughout by Annabel but Abbie’s greater weight of shot finally told in the end. 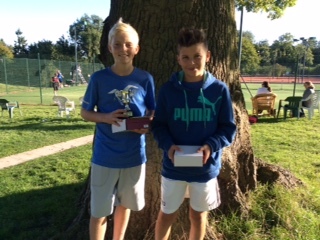 Alistair followed up his win in the 14U singles with a sparkling performance against George. His ability to move his opponent around the court finally won out over his opponents greater power. 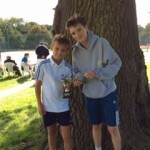 Altogether there were 63 completed fixtures, by 183 different players, from 7 different tennis clubs. The original goal was to get as many junior players as possible, playing and competing during the winter months. 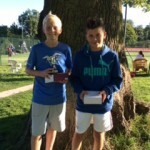 This is a county age group competition and involves both singles and doubles matches. 8U team – Division 1 – 3rd place. 9U team – Division 1 – 3rd place. 10U A team – Division 2 – 2nd place. 10U B team – Division 3 – Champions! 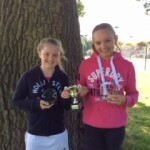 12U Girls – Division 2 – Champions! 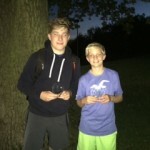 14U Boys – Division 2 – 3rd place. 14U Girls – Division 1 – 3rd place. 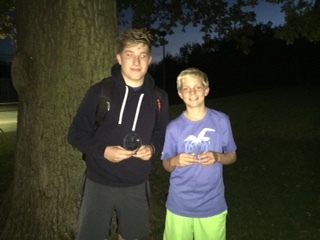 This is a doubles competition running from 10U – 18U. This is a singles and doubles league for the 18U and takes place on Saturday mornings at 9am. Our boys team play in division one.